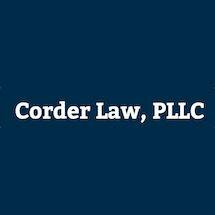 Corder Law, PLLC, is a Harrisonburg, Virginia, law firm that represents individuals with a variety of legal issues, including criminal charges, civil litigation and traffic offenses. We can help you resolve your legal matters and allow you to move on with your life. We understand how confusing and complex many legal issues appear. We help you understand the law that applies to your situation. We know that criminal charges demand an experienced criminal defense attorney, to ensure you understand the law and procedure you will face. We explain your options and potential outcomes and we work with you to help you achieve your goals. Our attorney understands that not all matters should immediately proceed to litigation. We are experienced negotiators and will work to resolve matters in as cost-effective a manner as possible. We see our job as helping clients obtain the best outcome for a given situation, and if we can help them avoid unnecessary time, costs, and litigation, we do so. For criminal defense matters, you always want assistance of an experienced attorney. With some civil matters, similarly, litigation cannot be avoided and we understand how to plan and execute a case. Before founding Corder Law, PLLC, our lawyer clerked for the Supreme Court of Virginia and also worked for the Hanover County Commonwealth's Attorney's office. This experience enables us to understand a case from all perspectives, and we use that knowledge to our client's advantage, whatever their situation.